Do you need to get rid of negative energy? 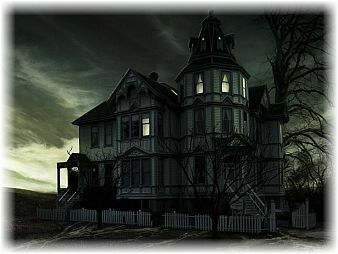 Do you get the chills when you enter a specific room, house, or building? Perhaps you feel uneasy, drained, worried, sad, or irritated when you are home alone, for no apparent reason? If the answer is yes, then it’s time to clear your surroundings of stagnant and negative energy. Spiritual house cleansing is a great way to keep your environment vibrant, peaceful, and full of positive energy. 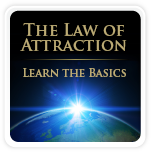 Learn how to get rid of unwanted energy before things get out of hand! Get step-by-step instructions for spiritual house cleansing rituals using: essential oils/spray, candles & prayers, sea salt, incense/herbs, sage smudge, sounds, Archangel Michael, holy water & prayers, and spells. Make sure you do the basics of a house cleansing before attempting any of the rituals. What is Spiritual House Cleansing? Spiritual house cleansing is about using different techniques and rituals to to get rid of darker entities and earthbound spirits, and to remove stagnant and negative energy from a space. Spiritual house cleansing rituals have been performed throughout history. 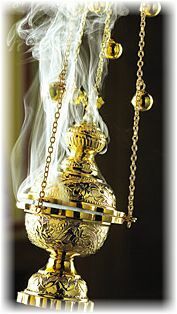 Native Americans used drums, rattles, smudge sticks in their rituals, people from the Middle East applied smoldering resins of myrrh and frankincense to invite blessing into their homes, the Chinese employed chanting, incense, and gongs to create balance and harmony, and during the Medieval Europe, prayers and salt were used to clear the energy. These ancient spiritual house cleansing rituals are still applied today and can be adapted for modern use. The best time for cleansing your house is during the Waning Moon Cycle – when the moon is decreasing in size – from the day of the Full moon until the day of the New Moon (which lasts about 14 days). According to Feng Shui, Friday is the best day of the week for cleansing a house. The house cleansing rituals should be repeated until the home feels better. Spiritual house cleansing rituals are perfect when you feel surrounded by stagnant or negative energy. However, there are certain incidents that can cause an acute need of house cleansing. Let’s take a look at those triggering events. A house cleansing ritual is always a good idea if the place of your house have had a violent history of events, or if there has been a war around the area where you live. You might also consider cleanse your home of negative energy if you have an ongoing illness, have been recently divorced, have been burglarized, or have had any other bad experiences or traumatic events at your house in the past. It is also highly recommended to perform a spiritual house cleansing if you have felt a presence and been spooked in your home. 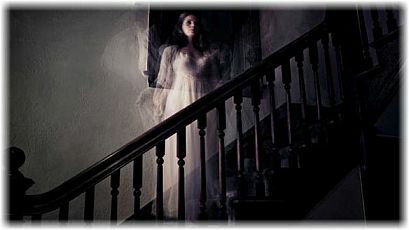 Unwanted spirits in your home? If you want to improve family relationships, increase your energy, or have more vitality, then spiritual house cleansing rituals are strongly recommended. Signs of disturbance at your house can be restless sleeping, headaches, backaches, and crying for no apparent reason. If there is any correlation between the disturbance in your home and your discomfort, then you will definitely benefit from a house cleansing to feel the improvement. Cleansing your house is also useful if you are looking for a romantic relationship, feeling stuck in your life, searching for a new job, wanting to sell your house, dreaming of buying a new apartment, or wanting to improve a specific area of your life such as your creativity, prosperity etc. Also, if you work from home (especially if you have clients over), have a treatment room, meditation space etc., then it’s very important to clear your work place and do spiritual house cleansing on a regular basis. A simple home blessing or house cleansing ceremony is also helpful when new things happen in your life, such as moving into a new home, or having a new job, new relationship, newborn baby, lifestyle change, or at the beginning of a new year etc. 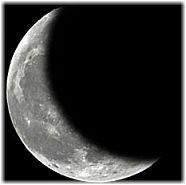 The best time to do a house blessing for these kinds of events is on the New Moon when the moon provides abundance of energy for new beginnings. wanting to manifest a new house, job, relationship, love life etc. Before doing any spiritual cleansing rituals, there are some basic steps that should not be skipped. First, you need to clear out any unnecessary junk from your house, and get rid of any paintings with depressing motives, but also things that give out any form of negative vibe. Then clean the house thoroughly, from top to bottom, including basement, attic, and garage. Surround yourself with beautiful things that is pleasing to you. You could place photos of your family and friends in nice frames, buy some beautiful flowers, get ornaments that you love etc. Choose things that are uplifting and remember that your home should be pleasing to you. Air out the house and let in lots of sunlight/natural light for several days if you can. Fresh air gets the energy moving, and sunlight has a revitalizing and cleansing effect. It’s also a good idea to have living plants around the house, since nature has energy healing qualities. Prior to performing the spiritual cleansing rituals described below, make sure to open every window, door, closet door, cabinet, dresser drawer, microwave, and oven door. This will allow any dark entity and negative energy to be removed from its hiding places. One last thing, as you perform a house cleansing ritual, always walk in a counterclockwise direction. This means that you should walk to the right and close to the walls. This is very important since counterclockwise is the direction that is used to drive out and banishing away unwanted negative energy. As you are done clearing a room, exit through the same door as you entered (if the room has two doors or more). Now that you have done the first steps of house cleansing, it’s time for a thorough spiritual cleansing of your home. Choose one, or combine a few house cleansing rituals that feel right for you. Myrrh is often used together with frankincense oil to round out the aroma. You can work with only one herb if you prefer, or mix a few in a spray bottle, or use an aroma lamp or diffuser for cleansing your house of stagnant energy. There are also pre-mixed smudge spray for house cleansing that you can use, see below. Another simple, yet effective method to cleanse your house of negative energy and to get rid of earth-bound souls, is to use white candles together with spiritual house cleansing prayers. The color white represents enlightenment, and the white candles will draw in those from the light as you say prayers for house cleansing. You can also use a blessed herbal candle with lemongrass, sage and cypress blend etc. ”Dear God, Virgin Mary, Jesus and Archangel Michael, banish all negative energies from this house and bless this home with your pure white light of love and protection.”. Keep repeating this house cleansing prayer a couple of times to affirm your intention and when you feel ready, you could say ”Amen” or ” so be it” . See more house cleansing prayers further down. 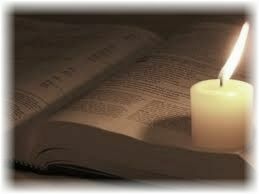 Rest assured that those of the light will respond and assist you. The spiritual house cleansing ritual is now complete. “Remove all negativity from this place. Only those with love in their hearts may enter this home”. Keep repeating this house cleansing prayer as you move around the house spreading sea salt. You can also fill small bowls with sea salt and place them inside the house in each room for 24 hours to absorb any dark entity. After 24 hours, make sure to throw away the sea salt in the trash and remove it from the premises. You can use incense to get rid of darker entities and house-bound spirits. But how does incense for spiritual house cleansing actually work? Each incense has its own vibrational frequency, just like every color and sound has its own frequency. So, when you use incense to clear your home, you work with a specific vibration and also with the universal forces that naturally act to improve the ”vibes” in your home. 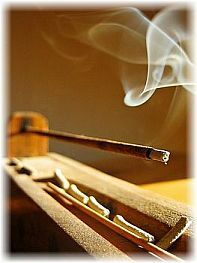 For example, the most common incense for spiritual house cleansing is sandalwood. It awakens the life force (Chi or Prana) and its color is green. As stated, every color has its own frequency, and sandalwood contains high-quality green life force, whereas sage contains green/blue/violet life force, and lavender contains blue-violet life force. You can use any of these incense for spiritual house cleansing – just choose the one you prefer. Here are a few house cleansing rituals that are important to remember when you work with incense. Make sure you open every window, door, closet, drawer, microwave, oven etc. before cleansing your home. Also, create a strong intention to clear the place before the spiritual house cleansing begins. Then simply burn an incense stick and place it in the room that needs to be cleared. Remember to walk counterclockwise. Keep to the right and close to the walls. Make sure to wave the incense under the beds and furniture, and around the walls of the closets. If you like, say a prayer and repeat the prayer of Archangel Michael, at least three times in each room (see house cleansing prayers below). Here are examples of incense that are excellent for spiritual house cleansing. 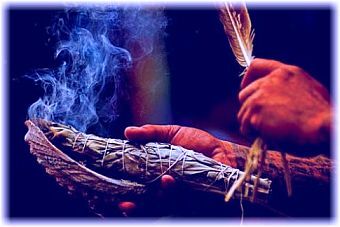 A spiritual house cleansing ritual called ”sage smudging”is an ancient practice that has been used for removing and clearing negative energy from any space. Smudging involves burning herbs to get rid of darker entities. The Native Americans and Shamanic cultures often use the house cleansing herbs: sage to drive out bad spirits, cedar for purification and prayer, and sweet-grass to bring in good spirits. You need a smudge stick . White sage, desert sage, or regular sage, is recommended for cleansing a house of spirits, and can be bought at most health food stores. Traditionally, an abalone shell is used to hold underneath the stick, but you can use any plate, bowl, or large ashtray. You also need a cup of water to extinguish the smudge stick after the ritual. Open every window in your house. Light the smudge stick and blow it out after it catches fire. Allow the ember to start to smoke (the same way as you do with incense). Before smudging your home, cleanse yourself first. You do this by waving the sage smudge over your body. Now, set your intention to clear the house/room. Start from the farthest room and finish at the entrance, so that the negative energy is ”pushed” out toward the entrance. Say a spiritual house cleansing prayer (examples below), or simply say out loud: ”I clear this room of any negative energy”. Imagine how the smoke absorbs any disturbance as you walk around the room. Wave the sage stick along walls and ceiling lines, into corners, and around windows and doors. As you are done cleansing your house of negative energy you could say a final house cleansing blessing like: ”Bless this house and make it safe”. Then, give yourself a sage shower by waving it over your body. Visualize how the negative energy dissolves from your body and the space around you. When you feel that all disturbance is removed, it’s time to extinguish the stick in the cup of water. You are now done with the spiritual house cleansing ritual. 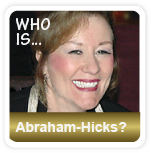 People have been using sounds for energy healing and house cleansing for thousands of years. 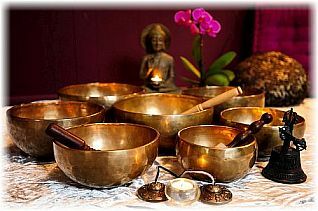 Pagans used bells to drive out evil spirits, and the Hindu and Buddhist tradition used singing bowls, cymbals and other musical instruments to release negative energies and blockages in the body, mind, and spirit. They all understood that different sound waves vibrate at different vibrational frequency, and that they create an instant atmosphere. The sounds of nature have a powerful healing effect and can assist in spiritual house cleansing ritual. The sound of thunder, waves on the shore, rain on the roof, singing birds, or singing whales, are examples of sounds that are perfect for cleansing a house. If you want to get rid of disturbing entities or negative ”vibes” from your home, play music with sounds of nature in your home . You could also play Tibetan gyuto monks chanting or Tibetan singing bowls. This kind of music is perfect for spiritually cleansing your home! Any music will do, as long as it is peaceful and uplifting. Just make sure that you choose sounds that you like. Clinking a spoon against a glass, or ringing a bell, are also fun ways of using sounds for spiritual cleansing of home. You can do this as you walk around your house saying a prayer for house cleansing (see examples below). 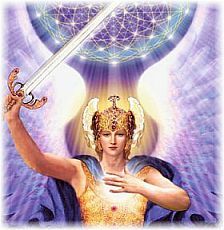 You can call upon Archangel Michael for spiritual cleansing of your home. His main purpose is to clear the earth and people’s fear, but he is also wonderful to call upon for home cleansing. Using holy water for spiritual house cleansing is something you can do yourself. They sell holy water with a sprinkle top so that you can easily sprinkle the holy water around the house; around every window and door, and around the walls of every room. 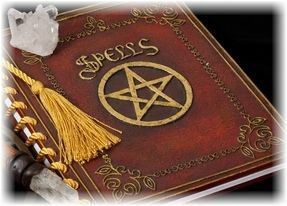 The use of holy water and prayers are very effective ways to cleanse your house of negative energy and to get rid of earth-bound souls and darker entities. Before sprinkling the water, make sure to clear your mind and set your intention with spiritual house cleansing prayers. You can also include a house cleansing chant to enhance your focus. Below are prayers that you can use for cleansing your home of spirits. “Heavenly Father, I ask Your blessing upon this home. In the Name of Your Son Jesus, I ask for all those who dwell here, to be delivered from sin and all evil influences. Protect us, dear Father, from sickness, accidents, theft and all domestic tragedies. I place this home under the Lordship of Jesus, and consecrate all who dwell here to the Immaculate Heart of Mary. House cleansing spells are often associated with witches, magic, and mystical powers. However, it’s all about intention and learning the spells, which means that anyone can do a house cleansing spell. If you only need to get rid of negative energy from a single room, here’s a spell for you. You need a blue candle, newspaper, salt, and sage. Set the blue candle in a candlestick on top of a newspaper, and surround it with a circle of salt. Light the candle (make sure it doesn’t tip over), and burn some sage in the room. Close the door and let the candle burn out. Don’t leave the room and candle unattended for safety reasons! Now, take everything and put it into a flowing river, or bury it far away from your home. If you need to cleanse your house of negative energy, this spell is for you. You need four candles (white, black, purple, blue), salt, sage, and lavender. Set your intention to cleanse your home of negative energy. Sprinkle salt at each window and doorway. In each room, burn sage and straw lavender on the floor, and sweep it up with sea salt. Cast the swept lavender and salt out your front door, and sweep it off from your porch. Your house cleansing spell is now completed.